Last year, after attending Stanford University's Summer Institute for Entrepreneurship, one of the students came away with a pending iPhone app for an educational math game called Motion Math. 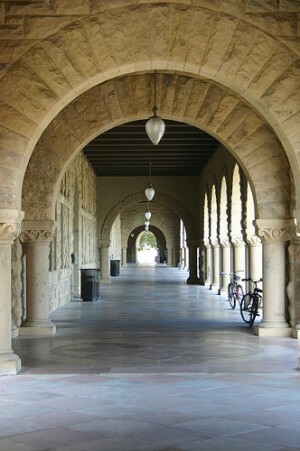 Though he'd conceived of the idea before starting the program, he was able to connect with collaborators from Stanford's School of Education, as well as computer scientists from Silicon Valley who helped him bring the product to fruition, according to Peter Reiss. Reiss is the faculty director of a new, broader program similar to SIE called the Program in Innovation and Entrepreneurship (PRIE). And that's the whole idea behind PRIE -- to "draw on the expertise both within and outside the university who can bring in technical knowledge that helps those in the program develop apps, or software, or a biotech start-up." The 20-week program, which begins in January, is targeted at those who don't have MBAs and want to learn how to "move a business idea forward." It will combine Stanford PhDs and other non-business graduate students with Silicon Valley innovators, scientists, and engineers to gain greater understanding of the pathways to commercializing innovations and to learn general management skills. "The program will teach them finance, economics, and accounting, but also the 'softer' skills, like how to give presentations to entrepreneurs and venture capitalists, how to convince them and negotiate with them."